Spacious top can support microwave or coffee maker. Surface is constructed to resist stains and scratches. 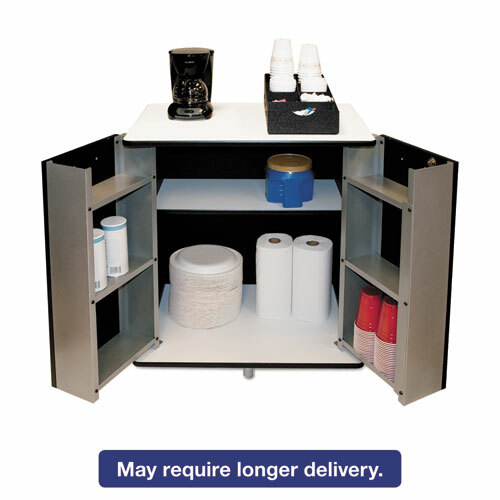 Internal shelves can accommodate large-sized supplies. Doors open with ease for frequently used items.